Narrated by the daughters of Chinese immigrants who fled imperiled lives as artists back home only to struggle to stay afloat—dumpster diving for food and scamming Atlantic City casino buses to make a buck—these seven stories showcase Zhang's compassion, moral courage, and a perverse sense of humor reminiscent of Portnoy's Complaint. 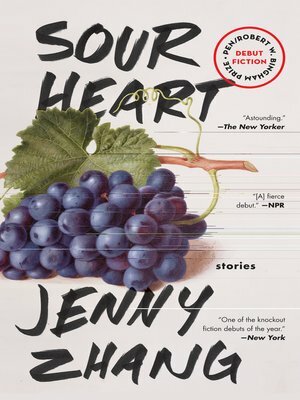 A darkly funny and intimate rendering of girlhood, Sour Heart examines what it means to belong to a family, to find your home, leave it, reject it, and return again. Jenny Zhang is a poet and writer living in New York.